iGoApp had the most liked content! The new update is available now. In addition to fixing the issue with NOAA winds aloft data, some adjustments to fuel calculation, and the ability to print a pdf document with flight information, I have also added a new tab with Pre-flight procedures. I know, there are other wonderful checklist plugins available, but I started working on this option a while ago and I myself needed it for getting prepared for my flights. Please refer to the manual for more information. A new version of the iGoConnect plugin (v. 2.40.26) is required for this update!! Enjoy! No, this feature has been available since the beginning. On iPhone, tap on More in the tab bar. Cheers. Please note that NOAA has migrated all its traffic to HTTPS. Because of that, the application cannot download the NOAA winds aloft data at the moment. I am aware of the situation and will fix it as soon as possible. Please bear with me and use the X-Plane winds aloft for now. Thanks! Please note that NOAA has migrated all its traffic to HTTPS. Because of that, the application (both desktop and iOS) cannot download the NOAA winds aloft data at the moment. I am aware of the situation and will fix it as soon as possible. It may take longer for the desktop application as there are more features that have already been added in the next update and they need to be tested. Please bear with me and use the X-Plane winds aloft for now. Thanks! Igor. I am sorry about this inconvenience. If your concern is to use the METAR reports for calculating the proper air distance and, thus, fuel, flight time, etc., I suggest that you enter your departure and destination airports, select the SID and the STAR, then go to the Winds Aloft panel and download the NOAA winds data. The wind direction and speed will be interpolated from the four closest coordinates at the altitude of 10,000 ft. The disadvantage is that the actual wind data in the airport will be different from that at 10,000 ft. Not very helpful for the take-off and landing but good enough for fuel planning and other calculations. If you need to see the actual METAR report, it may be downloaded from other sites, such as this. Of course, provided that these sites are not blocked either. Hopefully, these difficulties are temporary and will be over when Ablyazov no longer broadcasts his videos. Cheers. I will get back to you a bit later. Stay tuned. It is downloaded from an ftp server. This is the nature of the error: https://community.ipswitch.com/s/article/PORT-EPRT-Active-Mode-Extended-Active-Mode-is-not-supportedconnection-issue “ ...this indicates that something between the FTP client and the WS_FTP Server has interrupted the connection. This error is not being reported by the WS_FTP Server, it is being reported to the user by something outside of the WS_FTP Server.” If you live in Russia, your government (Rostelekom?) and/or ISP are probably blocking the access. Cheers. Hi. Thanks a lot for your kind words! Can you please advise which airport(s) you are trying to get the METAR report for? I've just checked on my computer and had no issues. Also please attach the LogIGD.txt file (either here or in a private message). Regards. davidd. Please provide more information: what exactly Navigraph dataset you use and how you installed it. Also, PM me your Log.txt file. Yes, you need to have a loaded plane for the TCP connection between your application and the plugin to be running (seems like X-Plane puts the plugin on hold when a menu is displayed). Cheers. If there is a person named Rodney Tod on the forum, please send me a PM. Cheers. gazzy360. No, currently it does not. However, my intention is to continue developing the application and adding more features. Two things that I will take into consideration when doing this: whether this is already implemented in the plane (e.g., through calculations in FMC) and the extent to which I have access to the real plane documentation. If you want something added, please let me know and I will definitely consider it. Thanks! donoscar. Please PM me your LogIGD.txt file. In any case, I will be testing an update addressing the issue with European Locale Settings early next week, so expect it shortly. Best. Hi, SUAS14. Please do the following. 1. Login to http://www.navigraph.com; 2. Go to Products -> FMS Data -> Manual Install; 3. 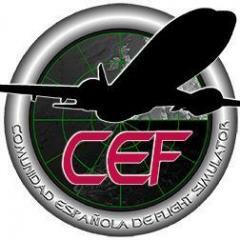 Find FMS data for “X-Plane GNS430, 777 Worldliner (Ext/Prof), Flightfactor B757 Professional, VMAX B767-300ER Professional, X-Crafts Embraer E-175 - native**” 4. Click Download. 5. Unzip the downloaded file. 6. Copy the folder “navdata” in the unzipped file and paste it in: Macintosh HD\Library\iGoDispatchBoeing733\ (Mac) or C:\Program Files (x86)\iGoDispatchBoeing733\ (Windows). These folders should already have the navdata folder with outdated data. Replace the folder when prompted. For more information, you may refer to the manual (page 11). Cheers. No. Is this even possible in real life? Or pilots always do it manually? I guess, leave something to the pilot. Cheers.